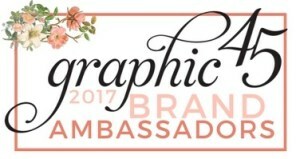 With Diamond Press and Graphic 45 Imagine Collection! 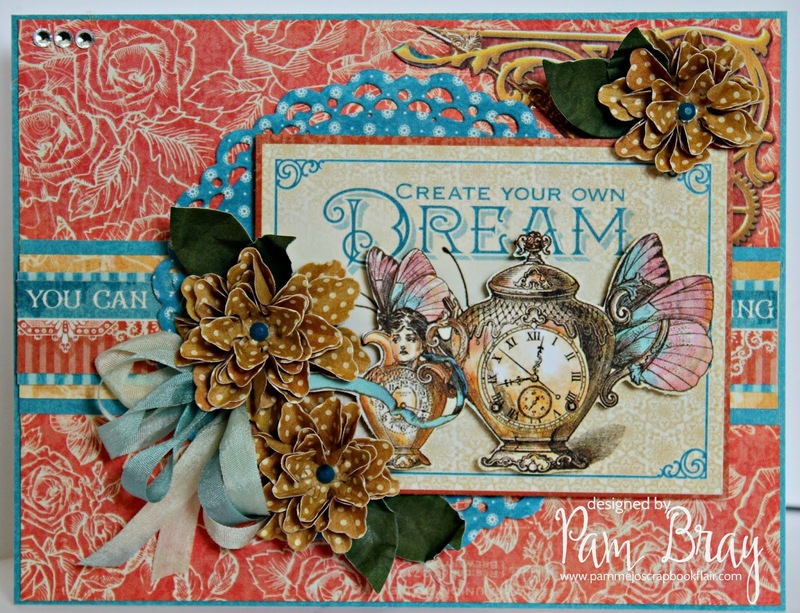 Here are a few samples I created using Diamond Press 15 Piece 3D Flower Die Set!!! The BEST PART... the it is still available on HSN!!! and it will take you to the product!!! 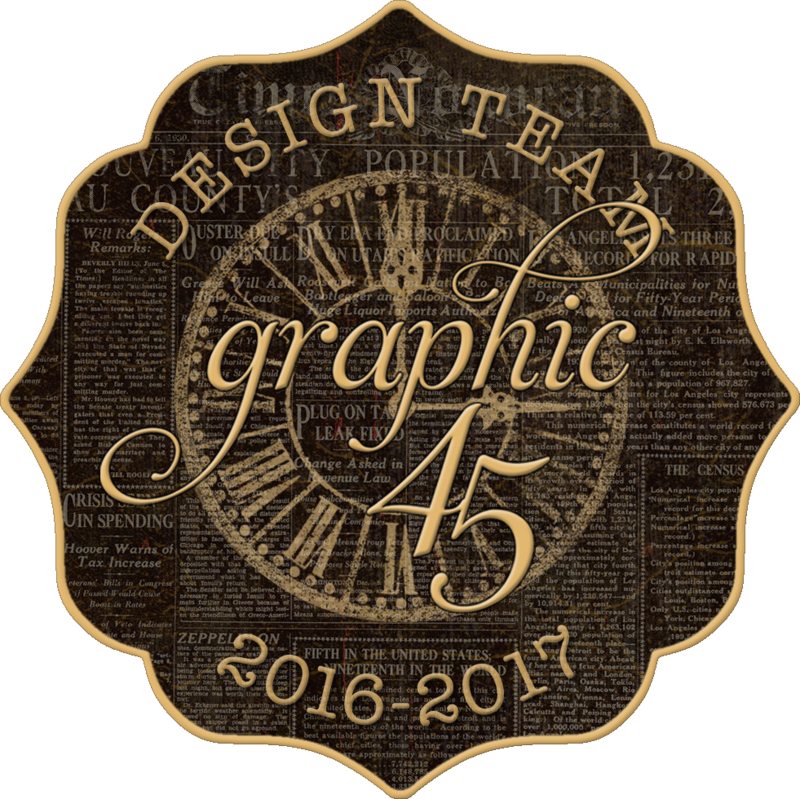 Get the Diamond Press 15 Piece 3D Flower Die Bundle while it is still available! 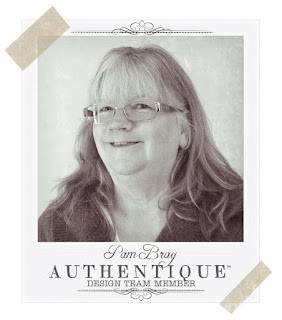 This blog contains affiliate links, clicking and shopping through these links helps to support and run Pam Bray Designs - Scrapbook Flair Blog at no additional cost to you. 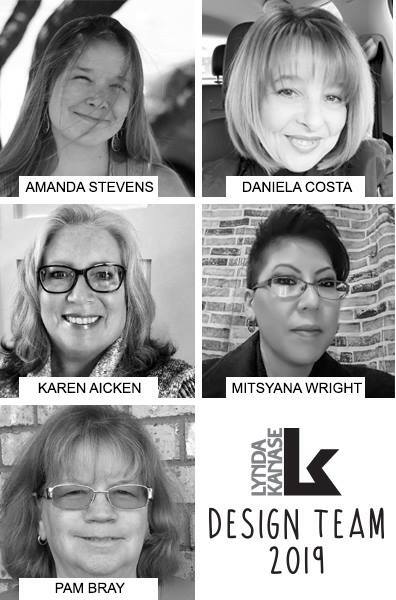 Today's features are Diamond Press Products. Hi everyone! 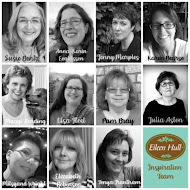 I am so blessed that you stopped by to see the Blessings Mini Album I created! It is full of hidden treasures and I am sure they will make you happy! 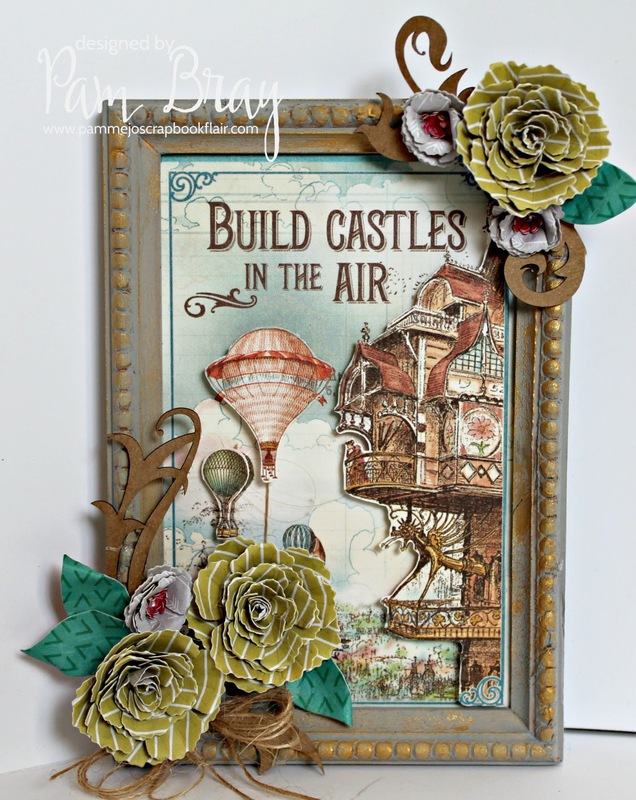 Begin by cutting chipboard to measure 6" x 6"; cut 5 pieces. Cover front and back of each piece of chipboard using Authentique Clover pattern paper. Create a hidden pocket behind layers of cardstock mats and pattern paper by placing pop dots around 3 edges and leaving the left side open. Place on page front. Create tags using the Epherema Elements from the Authentique Clover Paper and pattern paper. 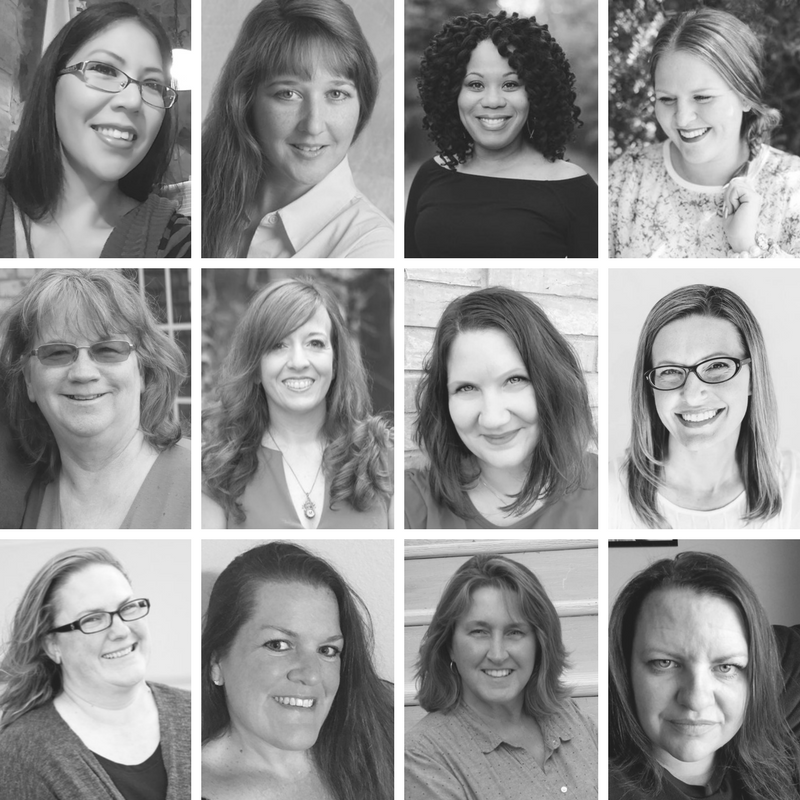 Add ribbon ties at the top of tags. Place tags behind created pocket. 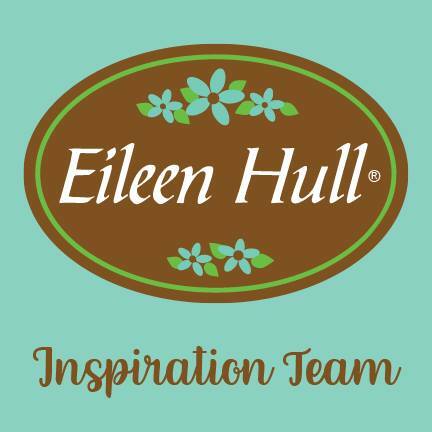 Create tags using the Epherema Elements from the Authentique Clover Paper and pattern paper. Add ribbon ties at the top of tags. Die cut white, green and pattern paper from die; adhere to top of page. Add Epherema Elements from Authentique Clover Elements paper to page with pop dots. Add small green enamel dots. 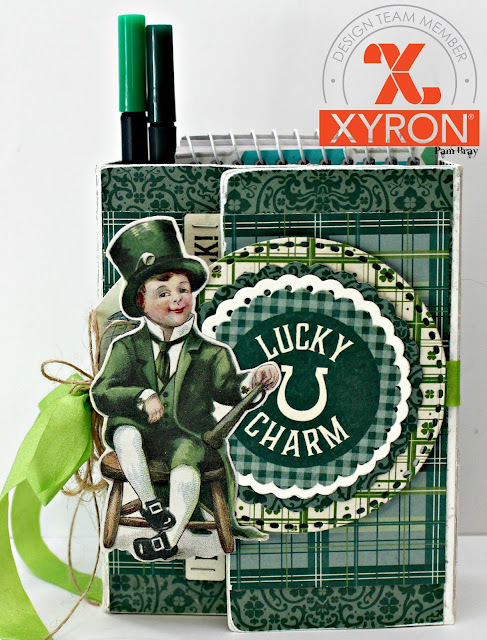 Create pocket using green card stock and pattern paper. Die cut doily from white card stock; adhere behind pocket. Add to corner of Page 4. 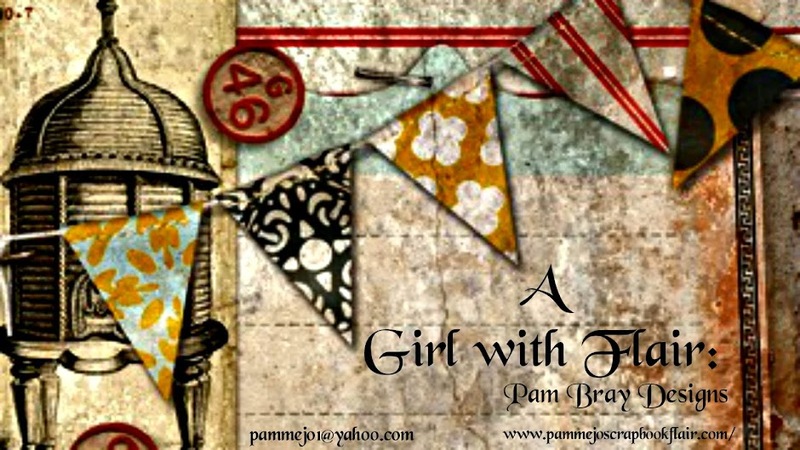 Fussy cut Element Epherema; add to pocket with pop dots. Create small book to measure 4 1/2" x 4 1/2' from pattern paper and card stock to place inside of pocket. Add Element Epherema to front of book. Cut white card stock pages 4" x 8"; fold in half. Punch 2 small holes in bind; add prepared pages to inside with tan twine. Adhere border strip to page. Add small 2 1/4" matted squares to page. Add border strips and Epherema from the Elements sheet with pop dots. Add border strip to page. Mat card stock together; adhere to pattern paper. Create gatefold page to measure 5" x 5" using card stock, pattern paper and doily die cut. Fussy cut Element; adhere to left side of gatefold. Adhere pattern paper ad borders to inside of gatefold page. Wrap gatefold with green ribbon. Adhere to center of page 7. Punch hole in "You've Got to Believe in Luck to Get It" Element piece. Tie ribbon in bow to hold close. Die cut doily from white card stock; adhere to page front. Adhere mats from card stock and pattern paper to front of page. Add small Element Epherema pieces to page with pop dots. Adhere border strips and mats to front cover. Die cut doily form white card stock; adhere to front of cover. Add small chipboard piece and metal number to top. Add Epherema from Authentique Clover Element Sheet to top of album front with pop dots. Adhere small flowers along with ribbon and twine bows. Add small key and chipboard to bottom of album. Finish album with a few more flowers. Add pages together with rings and add planner clip to ring. along with the new Distress Crayons. I began my Lucky Crazy Cat Tag by first cutting a large tag from mat board. lightly misted over them with water and blended together. and using my finger tip worked the crayons on the tag. Die cut a tag from watercolor paper. 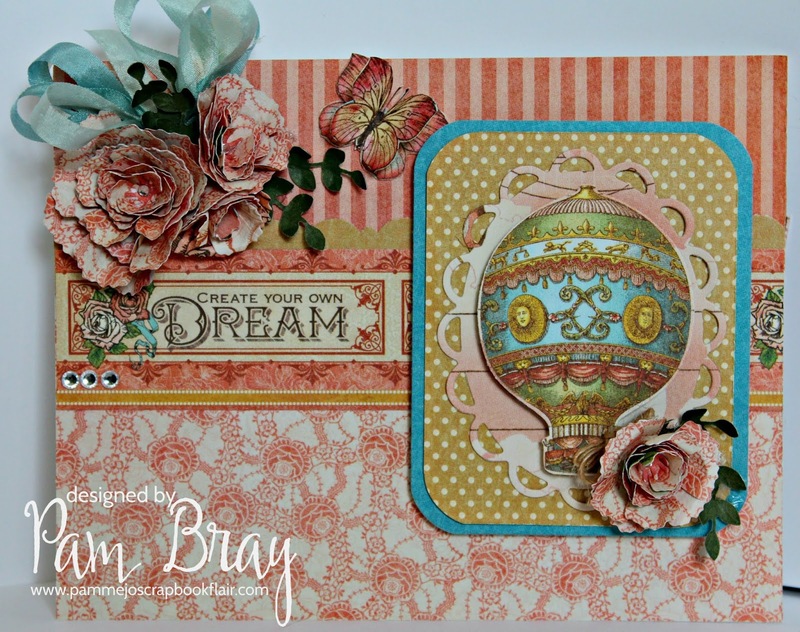 Die cut mixed media corner from tag. Lay stencil to top of tag, apply crackle paste. Apply crayons to top of prepared tag. Work crayons in with damp finger tip. continue til you achieve the look you are looking for. Place prepared watercolor tag to top of prepared mat board. Die cut 8 watercolor paper hearts out. Apply crayons to top of each heart. Stamp each prepared heart with background stamp and black ink. Ink edges of prepared tag with distress ink. Add four hearts to front of prepared tag. Taking tweezers bend the following prepared hearts here and there. Add to top of the attached hearts. Add round cabochon charm to center. Stamp crazy cat image to watercolor paper. Add "LUCKY" stickers to side of tag. Apply a bit of crayon to each letter with finger tip. Add crazy cat to top of prepared tag with pop dots. Add twine bow and heart brad to crazy cat. Add twine to four leaf clover. To finish place some pretty ribbon to the top of your tag. 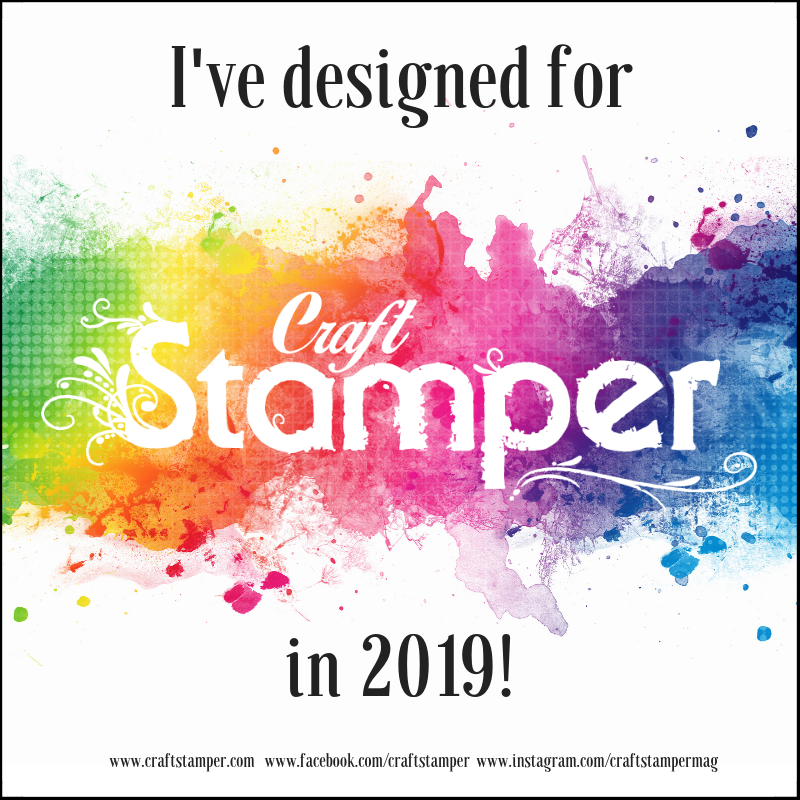 I hope I have inspired you to check out the Crazy Cat Stamps and Distress Crayons along with other fabulous products that I used on my tag. Thank you for stopping by today and until next time. It is that time of year to get organized and what better way to start but with Xyron! Today I am sharing with you this perfect little desk organizer! 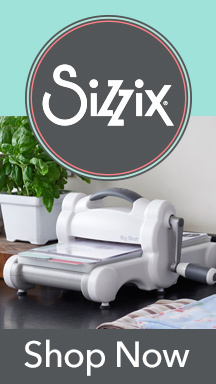 Begin by die cutting one Sizzix Wrapped Journal Die from mat board. 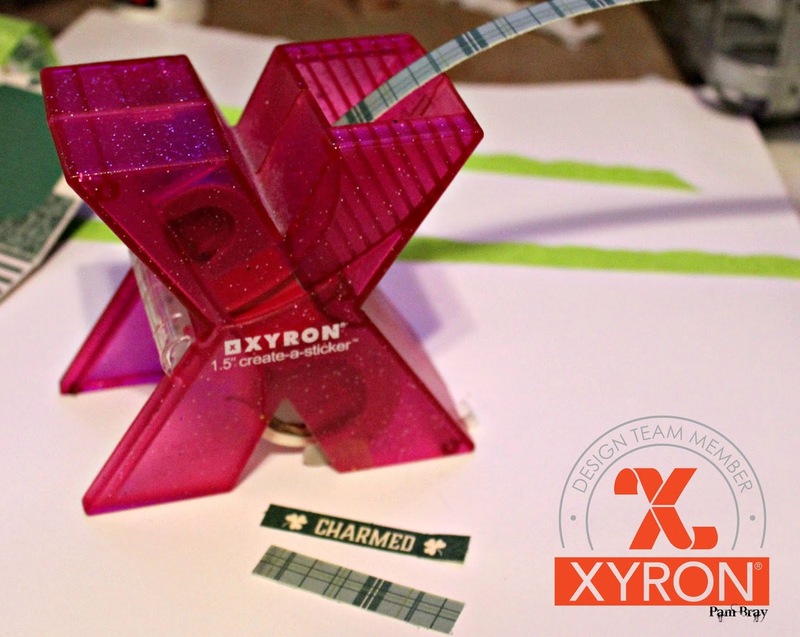 Run each piece through Xyron Creative Station Lite with Permanent Adhesive. Remove from adhesive sheets; add to out side of Wrapped Journal. Repeat for the inside of Wrapped Journal. Sand edges lightly with sanding block. 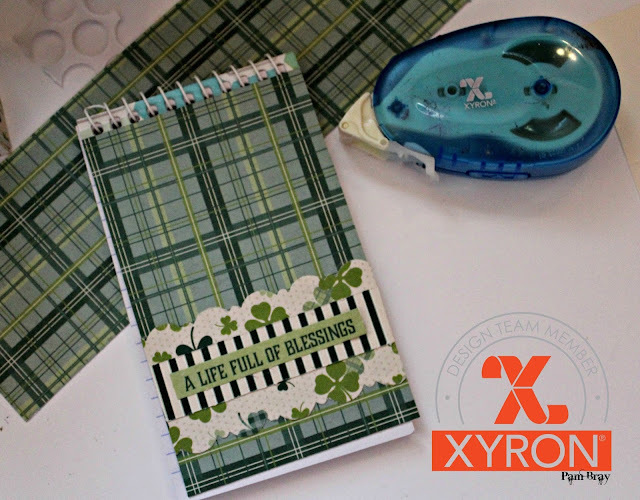 Adhere Authentique Clover pattern papers together using Xyron Tape Runner with Permanent Adhesive to form a mat. Add to front of page by adding pop dots on 3 sides to form a pocket. Adhere Authentique Elements to top of front cover using Xyron Tape Runner with Permanent Adhesive. Create two tags using the Authentique Clover pattern papers; add tan twine bow. Place inside of formed pocket on front page. Cover small piece of mat board using Authentique Clover pattern paper using Xyron Tape Runner with Permanent Adhesive. Add to inside page with pop dots on 3 sides to form pocket. Decorate with Authentique Clover Elements. Create small waterfall page to insert into pocket that was formed. Xyron Tape Runner with Permanent Adhesive. Add silver nailheads gemstones and green enamel dot to finish the cover of the spiral notebook. Die cut just the center part of the Wrapped Journal to create a small pocket. Adhere to center page of Wrapped Journal. Decorate with Authentique Clover pattern paper and Elements. Place small prepared spiral notebook inside of pocket. Cover a small Composition Book with Authentique Clover pattern paper along with some Epherema from the Elements sheet. Punch 2 holes in side bind and tie prepared notebook with elastic to secure it into place. Add two small photo squares to back page. 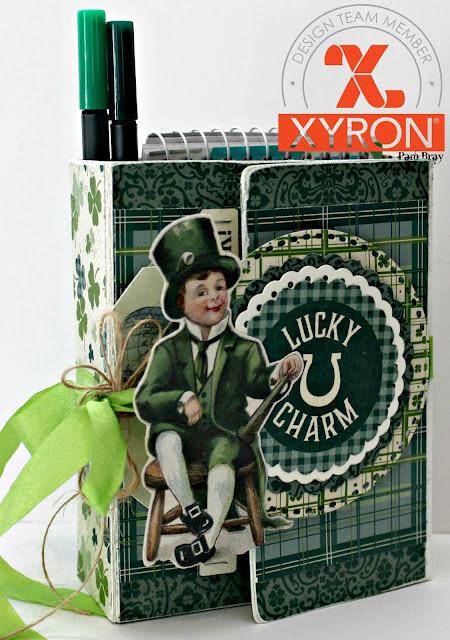 Decorate the front of Lucky Charm Desk Organize using Authentique Clover pattern papers and Epherema Elements. 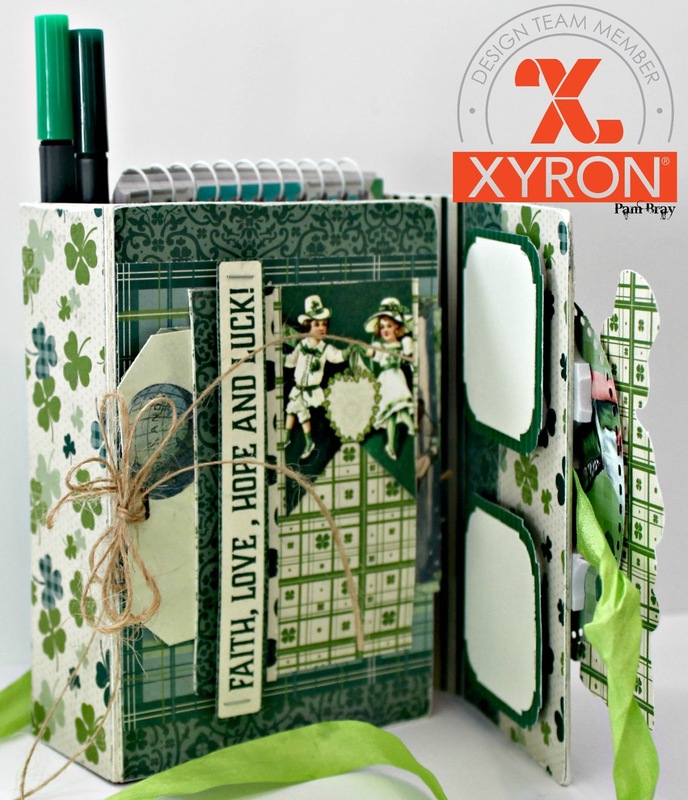 Layer pieces together using the Xyron Creative Station Lite with Permanent Adhesive. Wrap the desk organizer with green ribbon; adhere circle pieces over top of ribbon with pop dots. 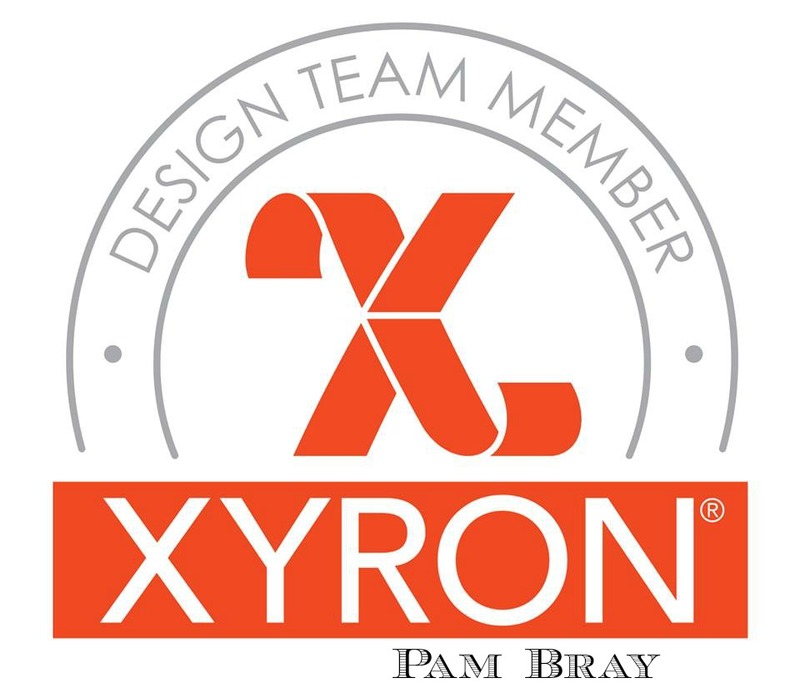 Adhere small fussy cut image to top of desk organizer with Xyron Tape Runner with Permanent Adhesive. Tie ribbon in pretty bow. 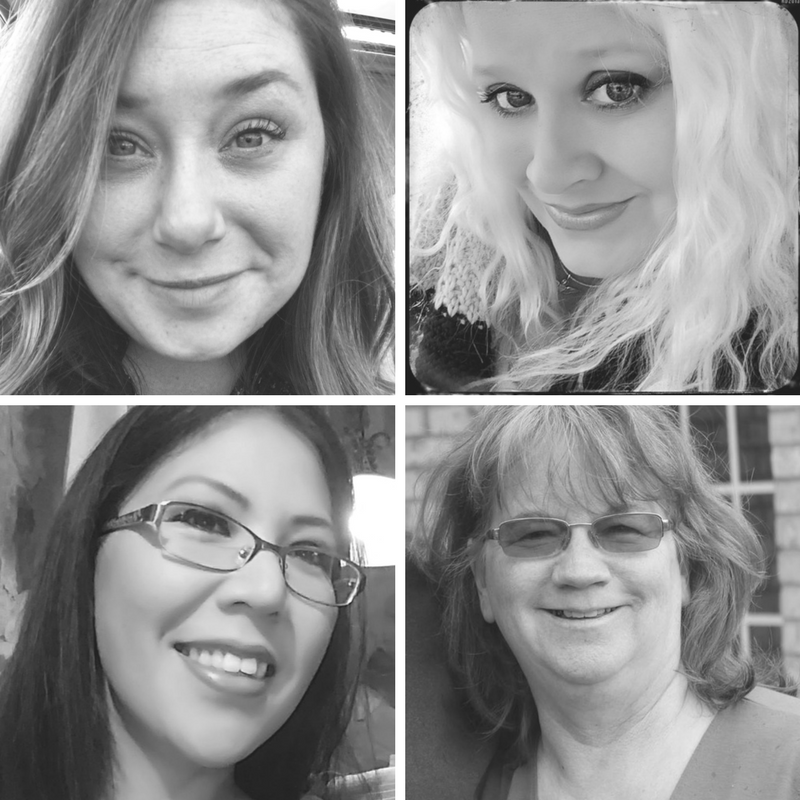 I always give my honest opinions, findings, beliefs, or experiences on those topics or products.The views and opinions expressed on this blog are purely my own. Any product claim, statistic, quote or other representation about a product or service should be verified with each manufacturer, provider, or party in question.